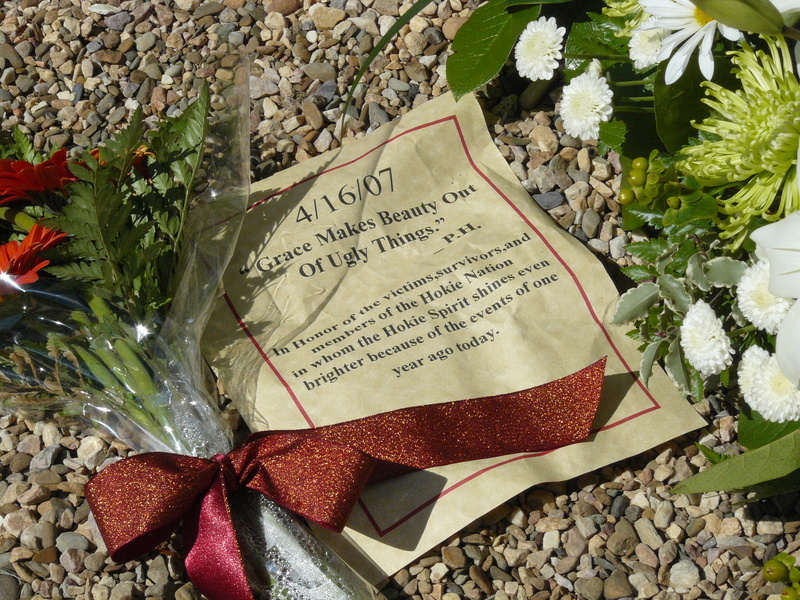 Close-up of items at the April 16 Memorial site. 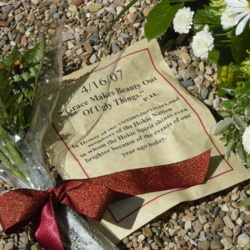 Photo taken April 17, 2008. Licensed under <a href="http://creativecommons.org/licenses/by-nc-sa/3.0/">Creative Commons Attribution-NonCommercial-ShareAlike 3.0</a>. Brent Jesiek, “Grace Makes Beauty,” The April 16 Archive, accessed April 26, 2019, http://www.april16archive.org/items/show/2459.